Just back from a great week at Art in Action as part of the Nature in Art section next week I am off to Twigworth near Gloucester to be the Artist in Residence at Nature in Art so if you are in the area do come and say hello. There will be a small exhibition of my work in the Atrium of the education block and I will be working there all day from Tuesday to Friday. It is a lovely place to visit with some amazing work on show in the galleries and sculpture garden and the cafe does a good lunch. 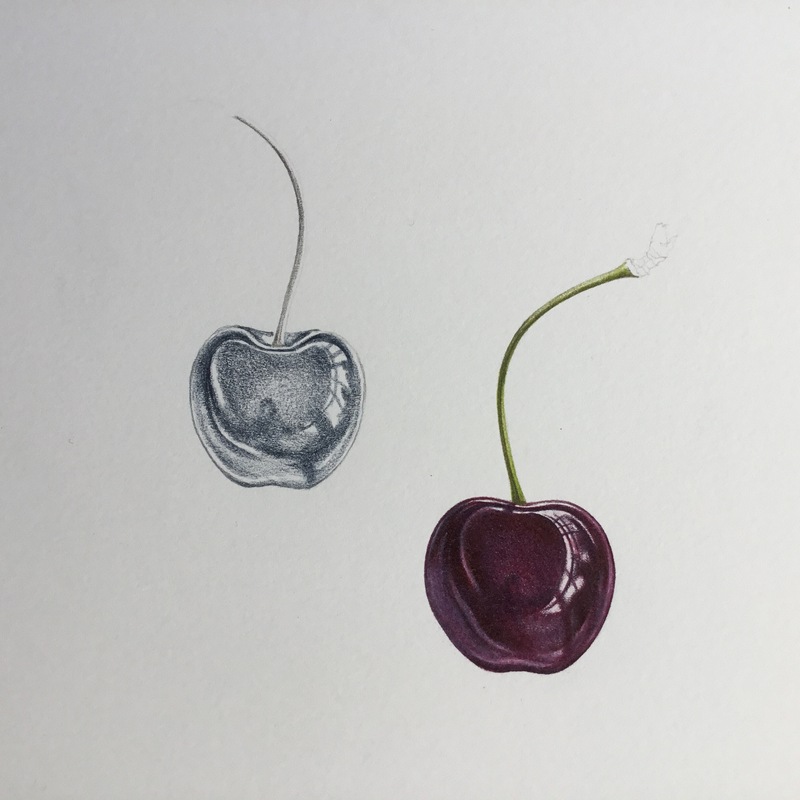 AS well as continuing to test new papers, the cherries above are my first attempt using Strathmore Bristol Vellum 300 series and I am quite enjoying the feel of the paper, I will be working on a new ‘Larger than Life’ – Hemerocallis picture so watch this space!